Donald Trump is well-known for his controversial remarks and the overall diplomatic ineptitude. He manages to perturb relationships even with the biggest US allies (cue the retweet of UK far-right anti-Muslim activist or the infamous phone call with the Australian PM where he calls immigrants bad people and refuses to accept them). However, this time he superseded all expectations. The US has maintained at least a veneer of neutrality for almost 70 years since the creation of the Israeli state in 1948, and now all these efforts were permanently disrupted by a crude remark of one inane politician. It is no secret that America is in a close alliance with Israel and subject to the influence of a potent Israel lobby, but at least up to this point it was smart enough to realize that it was not their right to meddle in this long-standing and extremely intricate conflict. However, instead of crying over spilt milk, it makes sense to try delving deeper into the history of Jerusalem and understanding why the US decision to give it all to Israel is not just a short-sighted and highly incompetent diplomatic move, but also a blatant violation of the international law and an encroachment on the principle of self-determination which should be granted to the Arabs. This conflict is relatively recent as its roots can be traced back to the late 18th-early 19th century. There were two most important developments which laid groundwork for its emergence. First of all, the Jewish population of Europe started to realize that they needed their own state to avoid racism and prejudice which accompanied them throughout their lives. An Austrian journalist Theodor Herzl gave a major push to Jewish nationalism which is now widely known as Zionism. Secondly, after the First World War the Ottoman Empire disintegrated and was transferred under the British Mandate. The Brits in their eternal wisdom promised the land of Palestine to both the Arabs and the Israeli in exchange for their support in the war. However, as the true imperialists they decided to keep the land to themselves feeding empty promises to Palestinians about the soon-to-be statehood at the same time purporting Jewish immigration. This led to unspeakable hatred between the two groups which later resulted in the massive and bloody uprising of 1936. The fact of the matter is – the growing Jewish population in Palestine was not very respectful of the Arab land rights. They tried to gain as much control over the existing territory as possible often evicting Palestinians from their home lots. This, of course, did not help further cooperation. This land-grabbing feast was exacerbated by the British indifference which, of course, shifted after the violent Palestinian uprising. The problem was that they decided to limit the Jewish immigration at the time when they needed it the most (cue the Second World War). So, even before Israel was officially created, the status quo in Palestine was pretty messed up. After the horrific events of the war, Britain entrusted this brewing Middle Eastern mess to the newly minted United Nations. They crafted a Partition Plan of 1948 which not only looked like a jigsaw puzzle, but also infuriated the Arab population of Palestine, who were hereby denied the majority of agricultural land and influential harbors. Thus, the war ensued which resulted in the exultant victory of Israel. So, Arabs lost some land, which, however, was not denounced on the international arena, as it was them who launched the attack in the first place. Moreover, Europeans still felt it was their mission to support the new Jewish state after the horrific events of the Holocaust. However, when in 1967 Israel invaded almost all of Palestine, it swayed the whole world on the Arab side. Remarkably, the Israeli also captured the East Jerusalem, where the Ancient City with many holy Muslim sites is located. From that time on they started to build illegal settlements throughout its territory. Many Arabs had to flee their homes and become refugees. Basically, now Palestinians claim their right to return to the land which was forcibly taken from them and form their capital in East Jerusalem, while the Israeli affirm their right for control over the whole city. What’s the Deal with Jerusalem? In 1948 UN resolution Jerusalem was supposed to have a special status and remain an open city for people of all nationalities and religions. However, as for the present moment most of Jerusalem is occupied by Israeli military forces with outposts and checkpoints sprinkled all over the place. In 1967 resolution the UN called for Israel to restore the borders of 1948 and leave East Jerusalem, the solution which Israel has been ignoring for the past 50 years. This aggressive stance did not contribute to peace, with a terrorist pro-Arabn organization Hamas being formed in 1993 and three gory intifadas (uprisings) being launched in the meantime. So, Jerusalem remains a scene of severe tensions and a profound historical conflict which was started by the selfish diplomacy of the former British empire and continued due to people’s inability to reconcile their dissimilarities, set aside some of the interests and strive for a consensus. Why Trump in the Wrong Again? This little historical excursion hopefully gives a general idea of why recognizing Jerusalem an Israeli capital was such a bad idea. Many would praise this bold move calling it the apocryphal cutting of the Gordian knot. However, there is no doubt that this statement further fueled the already intense arguments, hurting many people along the way (and killing four innocent protesters). Everybody is tired of the seeming stagnation on this issue. The Oslo process, which started in 1993 in a noble endeavor to bring peace to the region, is often marked as a failure. No stable consensus has been attained since that time and the violence still remains a hallmark of the area. However, as it is obvious now, Trump’s decision to attribute Jerusalem to Israel only further shattered the flimsy armistice. Many protests ensued all over the world, with one being right under White House windows. World leaders condemned this step; nobody except for Israel really sided with Trump. The only positive moment here is that most adequate people realize that the US president is not exactly the brightest tool in the shed which makes one hopeful that the decision will be abolished after he is gone. Is There the Right Way? 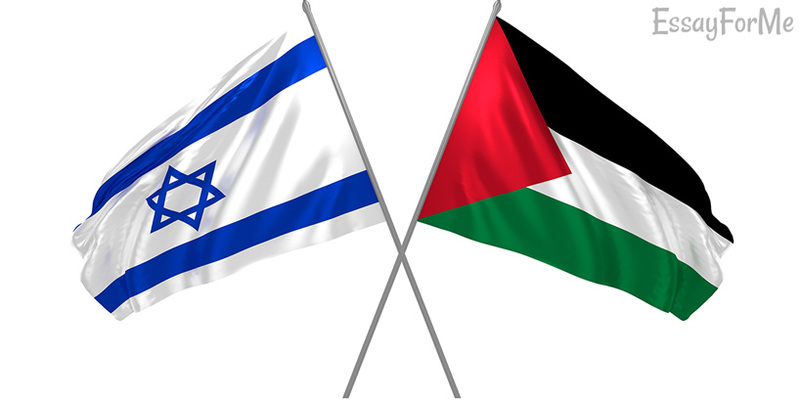 It is always easy to criticize, but really, is there the right way to solve an Israeli-Palestine conflict? It is so multifaceted and frankly confusing that even the most brilliant minds have a hard time figuring it out and proposing a feasible solution. In 1993 first Oslo Accord both Israel and Palestine recognized other party’s right for existence. Any reasonable person would concede that both nations have a claim for the land and cannot be evicted from it. Palestinians have a long history dating back to the Ottoman Empire, while the Israeli, although minorities at first, now constitute a considerable chunk of population with millions of people being native to the area. This is not a kind of issue which could be solved by overblown rhetoric and risque moves. It is a very sensitive path with landmines hidden all over literally and figuratively. There are no simple answers – this time blame is really on both sides. Therefore, Trump recognizing Jerusalem as a capital of Israel is the most antagonizing and unjust statement ever made by the United States representative regarding this issue.